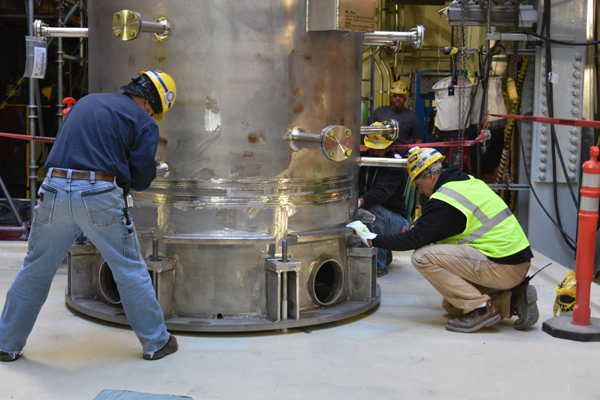 Vit Plant employees hand-maneuvered the caustic scrubber into position at the LAW Facility. Bechtel National Inc. (BNI) achieved its first contract milestone of 2017 when employees completed installation of the caustic scrubber, a 19-ton piece of vitrification melter offgas exhaust equipment, in the Low-Activity Waste (LAW) Facility in March. The caustic scrubber was the final piece of a system that will treat LAW Facility exhaust to ensure it meets air quality requirements. With the caustic scrubber’s installation, work crews can now complete the subsequent work of installing the remainder of plant items and equipment in the LAW Facility. “Not just meeting – but in fact beating – our first contract milestone of the year is an example of our commitment to ensuring we are ready to receive low-activity waste for vitrification as soon as 2022,” said Peggy McCullough, BNI project director for the Hanford Vit Plant. Three interim contract milestones remain to meet the LAW Facility construction completion contract milestone: completing assembly of both 300-ton melters and the installation of bulk electrical cable remaining near the offgas equipment. BNI is on schedule to meet those interim contract milestones in first quarter of 2018. A multi-year startup, testing and commissioning process will follow. The LAW Facility will produce about 30 tons of vitrified glass a day when fully operational. “It is very rewarding to see the continued progress we are making toward completing the LAW Facility construction,” said Bill Hamel, WTP Federal Project Director for the Department of Energy Office of River Protection. Other components of the LAW Facility offgas treatment system, including the thermal catalytic oxidizer and ammonia dilution skid, can be seen in the Vit Plant Virtual Tour. For photos and more information about this accomplishment, visit http://bit.ly/2obLg5B. 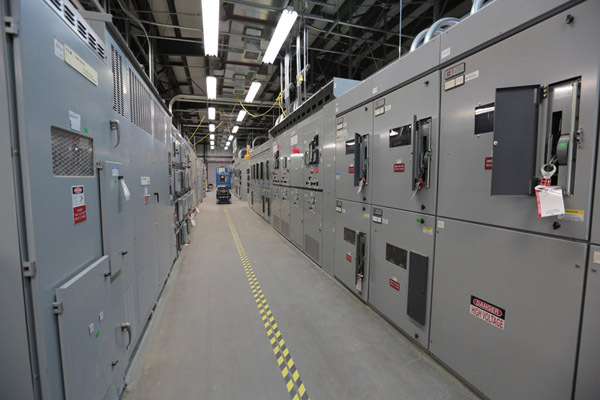 The Balance of Facilities’ switchgear building, also known as Building 91, was energized in March. It provides electrical support to Balance of Facilities structures. 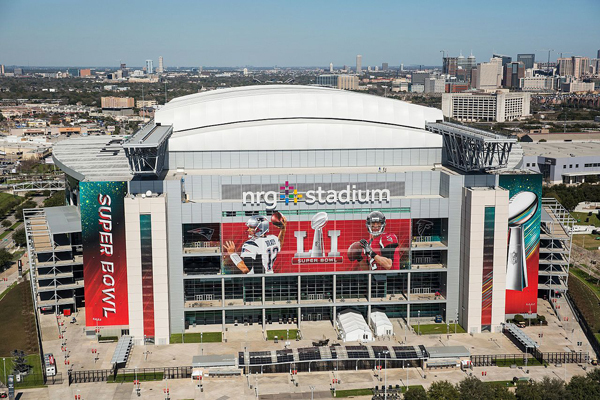 EDITOR'S NOTE: The following is an edited version of an article that appeared in the March 30, 2017, edition of the Department of Energy Office of Environmental Management's EM Update newsletter. EM Office of River Protection contractor Bechtel National Inc. (BNI) this month energized the Balance of Facilities (BOF) switchgear building, Building 91, one of the more than 20 structures that make up the Balance of Facilities at the Hanford Vit Plant, and one of two switchgear buildings providing power to the Vit Plant. Building 91 provides electrical support for BOF structures that will provide utilities and services such as steam, air and water to the Vit Plant vitrification facilities. With its energization, permanent plant low-voltage power (480V) was provided to the Water Treatment Building and the Nonradioactive Liquid Waste Drain Pump House this month. The Water Treatment Building encompasses three major water systems, including the domestic (potable), demineralized and process water systems. These three systems are being turned over from construction to startup, and electrical testing of the systems will begin soon. Mechanical testing and flushing of the nonradioactive liquid waste disposal system also will start soon. Last September, BNI brought permanent power to Building 87, which is the primary electrical switchgear building at the Vit Plant. Building 87 provides power to the main facilities which comprise the Vit Plant, as well as to Building 91. 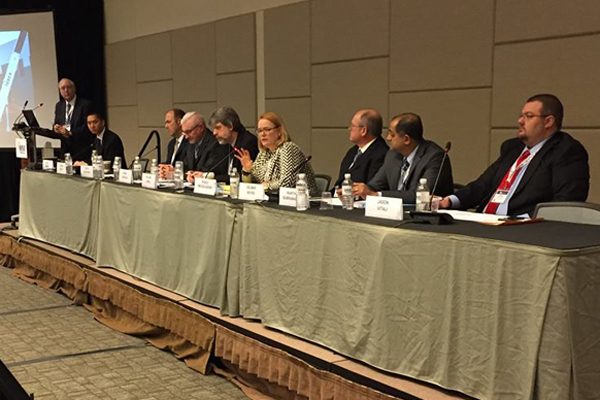 Peggy McCullough, Hanford Vit Plant Project Director, took part in a panel discussion at the Waste Management Symposia in March. McCullough joined managers from the U.S. Department of Energy, Office of River Protection and Washington River Protection Solutions and other technical experts to discuss safety and progress at the Vit Plant. 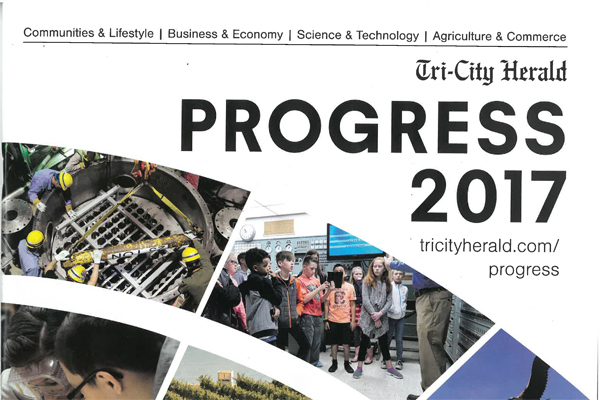 Read Project Director Peggy McCullough's thoughts on the progress and future of the Hanford Vit Plant in the Tri-City Herald's 2017 Progress Edition. 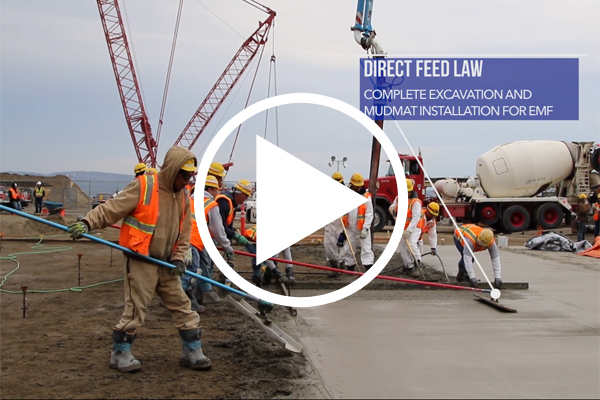 "We look forward to the continued physical progress we’ll make this year toward achieving DFLAW as soon as 2022 and to continuing this journey with our employees and with the Tri-Cities community." 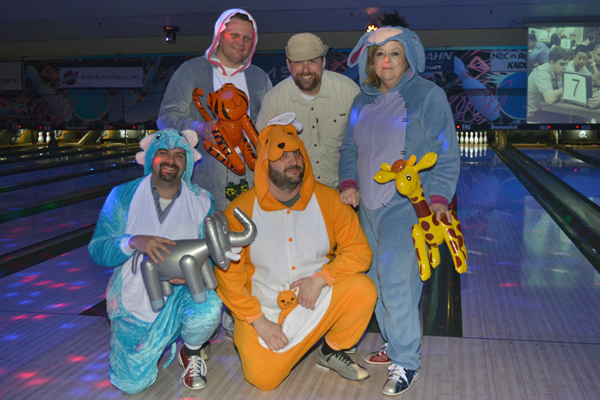 Hanford Vit Plant employees raised more than $21,000 and had 33 teams participate in the 21st Annual Junior Achievement (JA) Bowling Classic in February. The annual fundraiser helps JA of Tri-Cities to bring the business world to over 11,000 students in the southeastern Washington area. Thirty engineers from the Hanford Vit Plant visited more than 3,500 local students in 130 classrooms as part of DiscoverE 2017 in February. Vit Plant volunteers accounted for 70 percent of all DiscoverE presentations in the Tri-Cities. The engineers visited local middle schools to present the benefits of careers in engineering fields to students. 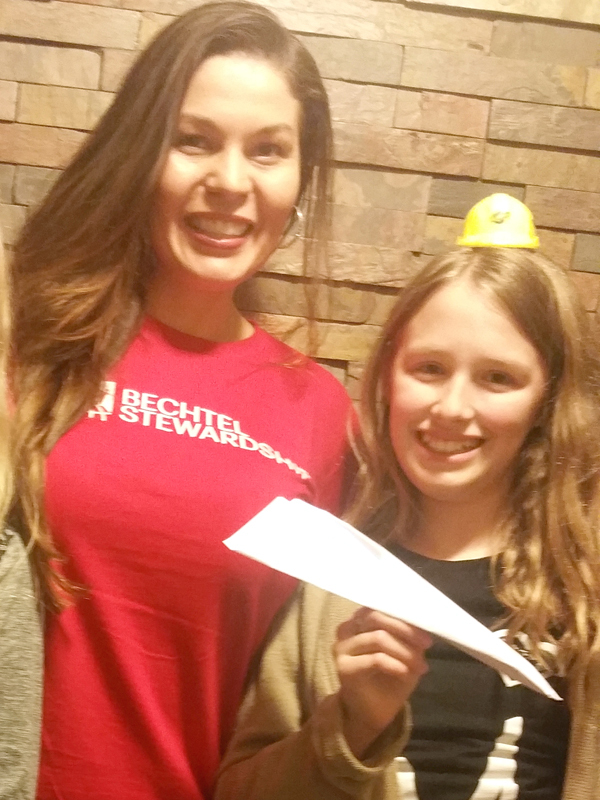 They also taught engineering principles through hands-on classroom activities, such as building straw towers, dropping eggs, and moving “radioactive” Ping-Pong balls. Vit Plant employees have long supported DiscoverE, formerly known as Engineers Week, which is one of the oldest professional outreach efforts in America. The Vit Plant uses #11 rebar in places. It measures 1 3/8 inches in diameter and weighs 5.313 pounds per foot. 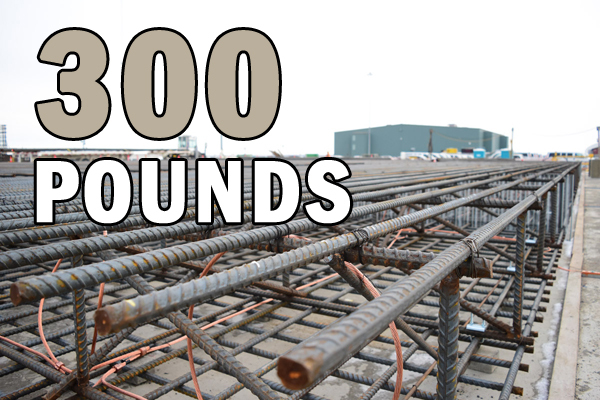 A section of #11 rebar typically measures 14 to 60 feet long and can weigh more than 300 pounds. made at the Hanford Vit Plant in 2016. Copyright © April 2017 Bechtel National, Inc., All rights reserved.